Ever since I watched the first trailer for Terrence Malick’s ‘Tree of Life’, I often thought about how the film could reach people emotionally and show people how beautiful everything is. Not to mention, how it would affect how people could and would perceive what is possible with cinema today. Also, as I was watching the film and after I viewed the film, I couldn’t help but bring my own personal emotions, history, and experiences to the film. I have a feeling that a lot of people will do the very same. To put it simply, Terrence Malick’s ‘Tree of Life’ is the most impressive and magnificent visual portrait of history and life ever put on film. I wish I could buy the world a ticket to see this film. Sadly, I feel that not a whole lot of people will understand ‘Tree of Life’ and therefor not enjoy it or take anything away from it. 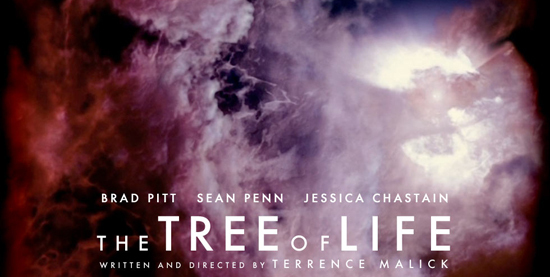 Much like Stanley Kubrick’s ‘2001 A Space Odyssey’, ‘Tree of Life’ is a very visual film with very little dialogue. Actually it seemed like Kubrick came back from the dead and supervised this movie. Every frame of the film you could have freeze framed and put on your wall. This might be the ‘2001 :A Space Odyssey’ for a new generation. Not in a very long time has a film been so visually beautiful and relevant even in the most simple of subjects. Life. Some will compare ‘Tree of Life’ to other Malick films such as ‘The Thin Red Line’, ‘Days Of Heaven’ , ‘The New World’, and ‘Badlands’. 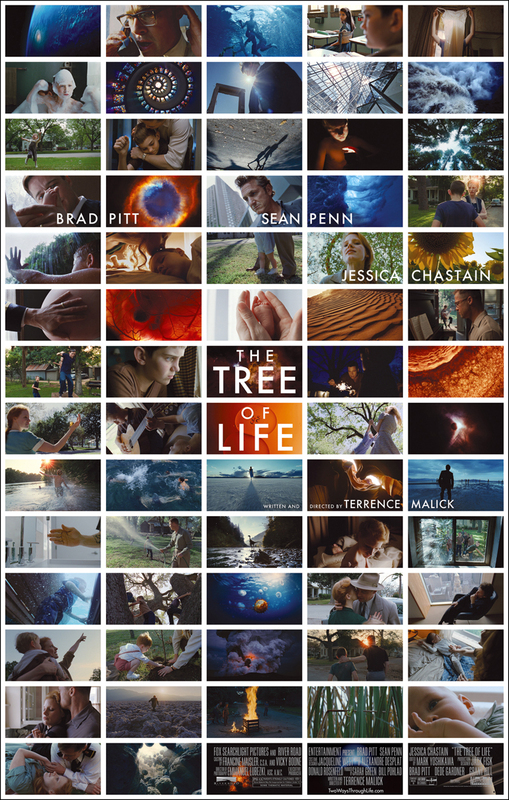 I must tell you that ‘Tree of Life’ is something much more significant and astounding. It’s a film that follows you the audience member as a person to the depths of your mind and soul. It’s a film of science, poetry, a higher power, and most of all waking up to life. 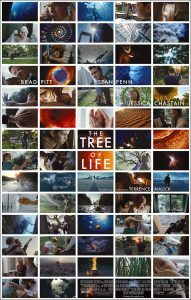 ‘Tree of Life’ is mostly a narrative film following the creation of everything and eventually a family. The film basically starts out with Sean Penn who we see is an executive of sort in the construction business when he gets a call from his father who is Brad Pitt. It is from here on out we see Sean Penn think about his childhood and growing up in a small Texas town of Waco. Terrence Malick is from Waco. Penn’s character thinks of a certain time period up until his family moves from their home. He thinks about his two younger brothers, one of which dies later on in life, his mother who tells us we should love everything. Love every leaf. And of course he thinks about his father played by Brad Pitt who he is scared of, yet in awe of him. Throughout the whole film, questions are asked narratively by all the characters and it’s the kind of questions that you start asking when you “grow up” or become completely aware of life and everything around you. I remember that. It was scary and overwhelming. For example, when you first learned about death and saw it, or when you realized your parents didn’t know all the answers, or when you started questioning God, heaven, and hell. Remember when you were young and there were no consequences and no worries, but that one short time period when you realized there were problems in life and consequences?? That’s the beauty of this film. Those moments. Those memories. Those problems. It’s life. This is the most important film of the year so far. I highly recommend you go to your favorite spot to watch films on the big screen to see this incredible piece of cinema. It answers the universal question of “Why?” Why are we all here?? What does it mean? And the answer simply is the creation of life. AMAZING. You will live this film rather than just watch it. A pure experience and journey. I’m in awe. This entry was posted on Friday, June 3rd, 2011 at 12:36 am	and is filed under Film, News. You can follow any responses to this entry through the RSS 2.0 feed. You can skip to the end and leave a response. Pinging is currently not allowed. Can’t wait to see it. Looking forward to it. Go see this movie. The best thing you will see all year thus far. « Check Out What Seems To Be Two Viral Promo Videos For ‘The Dark Knight Rises’!!! Ani? My goodness, you've grown. So have you, grown more beautiful... for a senator, I mean. Ani, you'll always be that little boy I knew on Tatooine.